Why is the OWA (Oregon Winegrowers Association) challenging Elouan and “The Willametter” marketing? JB: The marketing is deceptive, violating federal and state law. For example, printed prominently on the Elouan case boxes is “Oregon Coast Pinot Noir,” appearing to play off prominent California Coast AVAs. No Pinot Noir is grown on the Oregon Coast (or successfully can be). Three leading Oregon AVAs, the Willamette Valley, Umpqua Valley and Rogue Valley, are listed as if they are nested in this larger, fictitious AVA. The branding on “The Willametter Journal” and a number of Elouan labels, packaging and marketing materials illegally state or deceptively infer Oregon AVAs. This branding has created market confusion and is devaluing our distinctive AVAs. Consumers are being led to believe these wines are made in Oregon; they are not. Federally approved American Viticultural Area designations are based upon unique geology, soils and climate, taking much research and a lengthy process to obtain from the federal agency, the TTB. They are especially so in Oregon, as their use or inference on labels and marketing materials requires strict adherence to the highest AVA and variety standards in the nation. The wine must be made in Oregon with 100 percent Oregon grapes; only one AVA may be stated or implied with the grapes being a minimum 95 percent from the named AVA and at least 90 percent Pinot Noir (and other varieties) when those varieties are named. Oregon winemakers have worked together for 35 years adhering to these standards and paying the highest tonnage tax in the country to support them. JB: Joe Wagner’s actions threaten the AVA system of unique geographic pedigrees federally adopted in 1978 with now 242 distinct AVAs in the United States. He is illegally listing AVAs, allowing him to capitalize on the reputation they have achieved. 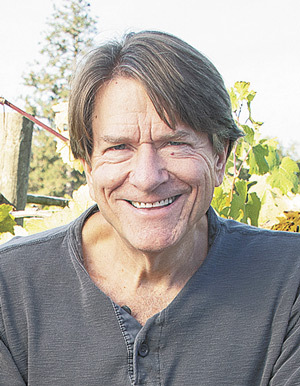 Wagner now is advocating he be allowed to list percentages of grape content from the named AVAs, but this approach would gut the unique, individual distinctiveness of each AVA. Isn’t this what he did with Meiomi? JB: No, the Meiomi label relies on a provision in the federal code allowing up to three counties to be listed with percentages. As these California counties are well known, the marketing worked. While the Oregon counties Marion, Josephine and Jackson can be used to market Elouan, they are not well known. Joe Wagner is, instead, using something to which he is not entitled: Oregon AVA names based upon specific viticultural conditions and winemaking standards that are highly regarded by consumers. Haven’t other wine regions, including the Napa Valley, seen this kind of behavior? JB: The Napa Valley Vintners Association has been very active in stopping deceptive advertising of wines capitalizing on the equity winegrowers have built over the years in that AVA. Richard Mendelson wrote “Appellation Napa Valley, Building and Protecting an American Treasure,” detailing the many attempts to deceptively exploit the financial premium that has been created in the marketplace for the remarkable wines of the Napa Valley AVA. The Wine Origins Alliance, dedicated to protecting the integrity of wine region names, recently secured passage of U.S. Senate Resolution 649 recognizing the value of AVAs. JB: Wagner is reported to say he likes “to do everything under one roof,” giving him the winemaking control he wants. That it is cold comfort regarding adherence to Oregon standards and doesn’t square with his federal label (COLA) filings. Elouan is made at LangeTwins, a contract 4-million-case plant near Lodi, the same that makes Meiomi. That’s an hour-and-a-half drive from Rutherford, where The Willametter is made. Wagner has used three custom crush plants (including Safe Harbor Partners and Laird Family Estate) and two Copper Cane facilities in different locations for his Oregon labeled wines. For example, there are two COLAs for the 2016 Elouan Pinot Noir at Laird Family Estate in Napa and Copper Cane in Rutherford in the same year. While we know he isn’t following the law on labeling and advertising, we hope the cellar staff of these numerous plants know the difference between Oregon and California standards and are following Oregon law — although his wines don’t taste like Pinot Noir from the Willamette Valley. For example, it is illegal in Oregon-labeled wine to use additives commonly used to make mass-produced Pinot Noir in California. Color and mouthfeel concentrates, called Mega Purple, Ultra Red, Purple 8000 and Red 8000, are made from the Teinturier grape Rubired, which is prohibited in Oregon wine since the grape is not grown here. Illegal use of even a small amount of these powerful additives greatly alters the distinctive, cool-climate Willamette Valley Pinot Noir colors, aromas and flavors. The Oregon Congressional Delegation has requested the TTB conduct field product integrity audits of Copper Cane, asking “any offending products should be removed from the marketplace immediately.” The TTB is very thorough, reconciling grape contracts, grape sources and varietal composition, weigh tags, winery computer-recorded additives identified in the Varietal Composition or Ingredient fields, cellar work orders, ingredient POs and invoices, tank and barrel transfers, and finished packaged volumes compared to the label, packaging and advertising claims. Aren’t some of the industry’s complaints about federally approved labels? JB: The TTB label reviewers were misled. Wagner used the term “Vinted” instead of using the legally required term “Produced” on the label. He was actually producing the wine from grapes in California. A label reference to an AVA is legal if the wine is “Produced” (fully finished) in the state of origin. By using the term “Vinted” on the label, the TTB was misled into believing the wine was made from grapes into wine in Oregon, then trucked as bulk wine to California for bottling. If Wagner had used the term “Produced” on the label, as he is required to do, the TTB would have caught it and rejected the label submissions. The term “Vinted” is allowed when the wine is subject to cellar treatment at the bottling address. The TTB does not see the case box design or the sales materials but requires that those representations be accurate and consistent with their label approval. They depend upon consumer and trade monitoring, and act upon complaints, which is what they are doing now. What appears to be misdirection on the label application and then the use of Oregon AVAs on packaging and sales material with a retail bottle price under $20 has resulted in a commercially very successful result. Neilsen 12-month scan data shows that Elouan Pinot Noir has grown into the No. 1 selling Oregon branded Pinot Noir above $17 a bottle in just a few years — a wine that is advertised originating from the Oregon Coast and now made near Lodi, California. As for the reference of multiple AVAs on the approved ’17 Elouan Pinot Noir, we believe the TTB label reviewer just missed it. Only one reference is allowed under federal law; 85 percent of the content must be from the referenced AVA with the wine made in the state of origin. The Oregon wine industry has asked the TTB to withdraw approval of this label to preserve the AVA system and truth in labeling — AVAs are not blending grapes, they are distinctive geographic designations representing the wine from that specific AVA. What’s the financial benefit to using Oregon AVAs? JB: If Wagner was making and selling his wine legally, like other Oregon producers sourcing from various AVAs, he would only be able to list Oregon as the origin. But wines using an Oregon AVA, like the Willamette Valley, earn a higher price — costs are higher, too. One can make more money by using lower-cost grapes, mixing in some higher-cost Willamette Valley AVA fruit and deceptively marketing it by referencing the Willamette Valley. Among the top 25 Oregon Pinot Noir brands reported by volume in annual Nielsen scans, the average retail bottle price is $26.04 for Willamette Valley AVA Pinot Noir, but $14.30 for an Oregon-appellated Pinot Noir. Elouan, with its Willamette Valley packaging, has put the AVA on discount at $7 per bottle less at the attractive under $20 retail price — helping explain its sales growth. For every 100,000 cases of sales, Elouan Pinot Noir marketed with the Willamette Valley AVA can illegally achieve approximately $3 million more at FOB (freight on board) than the average Oregon-appellated wine. What’s this claim about Wagner not paying his Oregon taxes? JB: Wineries licensed to make wine in Oregon must pay $25 per ton tax to support the wine quality and marketing efforts of the state and AVAs. As one must make the wine in Oregon to legally use the state’s AVAs, Wagner is dodging the tax, but still using the AVAs. If he had made the wine in Oregon, an estimated $200,000 in taxes would have been properly paid. Why are some Southern Oregon growers so unhappy with Copper Cane? JB: Wagner, using a smoke taint clause, canceled all his Rogue Valley grower 2018 picks (130,000 case equivalent) only days before harvest, leaving growers no time to find alternative buyers. Nielsen retail annual data ending in June shows Elouan scanned 45,146 cases in national retail sales, an annual growth of 19,730 cases. For grocery store brands, Nielsen scan data can account for more than 70 percent of total sales. Copper Cane reported to the Oregon Liquor Control Commission purchasing 4,026 tons of Oregon grapes in 2017, equivalent to approximately 261,715 cases. Elouan 2015 Pinot Noir on the shelves in Oregon is behind a vintage and a major chain is discontinuing the 2016 rosè and has been seen at Grocery Outlets for $3.99 per bottle. Doing the math, it looks like Copper Cane is severely over-inventoried and to be fair to the grower families, Wagner should at least pay the uninsured growers for their crop. We do support the insurance claims of those impacted by smoke taint as we learned of pockets of damaged fruit first hand. A blanket cancellation was unfair in those instances where quality was high, casting a pall on the Rogue Valley 2018 vintage, among the nicest grapes in decades. A coalition of Oregon winemakers, using independent lab results, saved as much of the stranded, high quality crop as possible, paying the full contracted prices. The wine developing in the cellars is beautiful. We can’t wait to release the Oregon Solidarity wine, first envisioned by Ed King of King Estate Winery, as a fundraiser for the devastated growers. Why do you think Wagner has filed to cancel your trademarks? JB: We believe he is trying to bully us. Shortly after I asked Wagner to stop misrepresenting Oregon AVAs and infringing on our trademarks, his lawyers filed to cancel them. A tactic like that might work with someone who doesn’t have the money or the community support to defend themselves. He has signaled he will drop the trademark challenge and the Willametter brand if we support Elouan with his use of the state’s AVAs listing percentages of content. In his effort to profit from the equity others have built, this proposal would destroy the AVA system. We believe in the value of these geographic pedigrees and the reputational equity winemakers and growers have created in them. There is some irony in his argument, that our winery brand should lose its trademark due to the AVA having the same name, given his illegal use of it. We will oppose his trademark cancellation attempts for the same reason we will defend our AVAs, not just for ourselves, but the many other wineries with brands similar to or the same as AVAs. Just because an AVA is established, it doesn’t mean the winery trademark is no longer valid. The “discovery” process in the trademark proceedings may reveal what is actually in the Wagner “Oregon” and “Willametter” wines. The Oregon wine industry has grown through collaboration and respectful treatment of its colleagues. Oregon winemakers welcome newcomers with kindness, but ask for lawful and respectful conduct in return. What are you asking the leaders of the nation’s AVAs to do? JB: We are asking they write the administrator of the TTB and ask that in the TTB label approval process, they enforce the law to preserve the integrity of American Viticultural Area destinations by allowing only one AVA to be named, referenced or implied on the label, and only on wine legally qualified for such a reference. Second, we are asking industry members to contact their state liquor control agencies asking that upon licensee renewal for Copper Cane to do business in their state, Copper Cane be required to demonstrate, under penalty of perjury, that they are in full compliance with all federal and state laws, including Oregon law when using those designations, regarding wine composition, labeling, packaging and advertising. By acting in solidarity, the nation’s AVAs can protect our unique geographic designations.